Are Baby Boomers Saving Enough for Their Retirement? 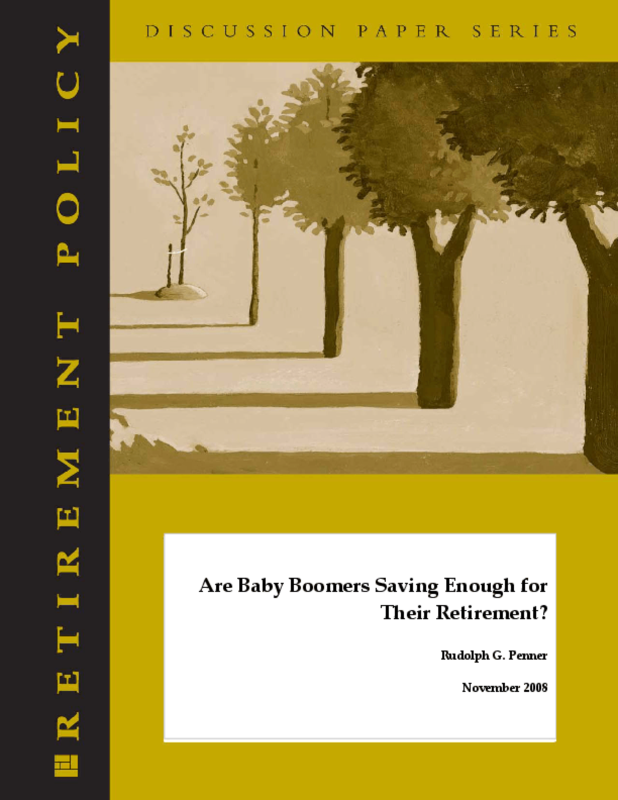 Discusses factors that determine the amount of savings baby boomers need for retirement, including income and pre-retirement consumption levels, housing wealth, family type and size, and entitlement to Social Security and defined benefit pension plans. Title: Are Baby Boomers Saving Enough for Their Retirement?